As Chennai battles its worst rain in 100 years, with thousands of people cut off from basic services, water, food and power supplies. People are struggling to get clean drinking water and there is an urgent need to provide food & water supplies and sanitation support. An outbreak of a major water and sanitation crisis in Chennai and other locations looks imminent. 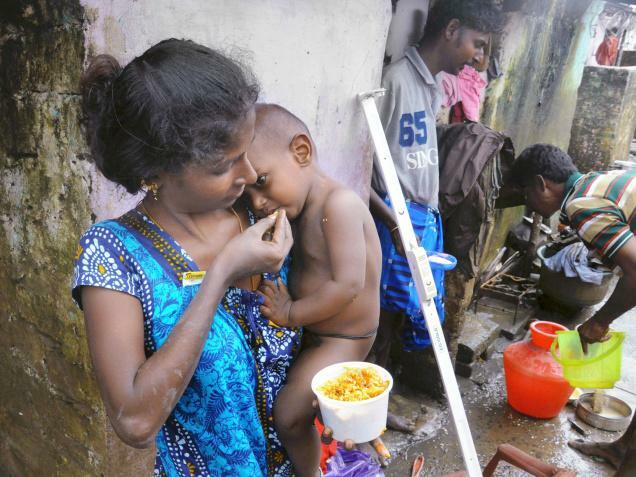 Right now, thousands face severe water shortage, across the affected areas in Tamil Nadu. In such a situation, the mobile RO unit is expected to be a boon. Reverse osmosis is often used in commercial and residential water filtration. It is also one of the methods used to desalinate seawater. Sometimes reverse osmosis is used to purify liquids in which water is an undesirable impurity (e.g., ethanol). Dinesh Jain, an entrepreneur who has put together the unit, says it will take flood water from the streets and convert it into potable water, Dinesh is currently in Chennai and is doing his best to fight the situation there. reported by The Hindu. Rain water could be easily purified with this Amritdhara unit, which makes it an ideal use during natural calamity like Chennai flood. It can convert 20,000 litres of any kind of water into drinking water. It can be mounted on a truck, and can be moved around. It is basically a process in which a majority of pollutants from impure water are removed by passing it under pressure through a semi permeable membrane. For this, the water is first pumped from the source into the purification unit. It then undergoes a primary treatment to separate the heavy particles. This is followed by treatment of water with Aluminium Sulphate, also known as Alum, to initiate coagulation. Turbidity of water is removed by passing it through a filter and it is pumped through a cartridge filter to eliminate all particles larger than five micrometres. This water is then passed through a high pressure piston pump into a series of vessels where it undergoes reverse osmosis. The final water is 99.1% free from impurities. “We got more than 200 messages from various places in Chennai seeking help with a couple of hours of sharing this information on social media. They will be concentrating on Tambaram and Valachery first, as they are the most hit by floods,” he said. Dinesh Jain can be contacted on +91 90-36-057712. Request people to SMS him or whats app & SHARE to give some relief to our brothers and sisters in Chennai.